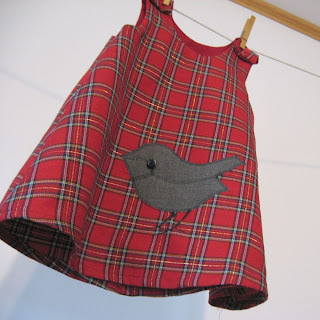 I run a small one-woman business creating handmade children's clothing and quilts. I have spent the last six months growing my business, working incredibly hard to create a great product. I have many loyal customers; I love what I do! But as of February 10, 2009, myself and thousands of others like me will be forced out of business. Remember last year's holiday season when dozens of lead tainted toys made in China were recalled? In August 2008, in response to that disaster, the Consumer Product Safety Commission passed legislation called the Consumer Product Safety Improvement Act (CPSIA). The law aims to ban lead and phthalates (a chemical used in some vinyl products) from all children's toys, apparel, decor, and accessories. On February 10th it becomes law, and every manufacturer, reseller and retailer will need to prove compliance or risk being charged with a felony. A conviction carries tens of thousands of dollars in fines and potentially even jail time. In order to receive a certificate of compliance a manufacturer, (and this includes anyone who makes clothing, toys etc, regardless of volume), needs to have each and every component tested by a CPSC-accredited laboratory. This includes not just toys, but clothing, jewelry, blankets, sheets, books, bibs, strollers, carriers, and anything else that a child under 12 might come in contact with. These tests have to be done at a CSPC accredited lab, and cost up to $4,000 with an average of around $500. So for me, I offer 3 different types of dresses. Each dress contains 2 different fabrics, as well as buttons, and thread (each of which needs to be tested), so that's potentially $2000 to test one dress. But I have 3 styles, so that's $6000. And when I get a new bolt of fabric, I need to start all over again. I can only make 15 dresses from one bolt, so there is no way I could make the testing financially feasible. Everyone can agree that something needs to be done in order to protect our children from harmful chemicals. But this law, as currently written, will affect handmade toy and apparel makers, the very people many of us turn to for safe toys, clothing and decor for our children. At present, there are no exemptions for small businesses and "micro" manufacturers like myself and most handcraft artisans. There is no exception for quantities made, where the garments/products are made or anything else. Nor is there an exception for unadorned fabric components, unfinished wood components, materials which, by their nature, are free of lead and phthalates. Also, the Act takes a "guilty until proven innocent" approach, which would treat a handmade, unfinished wooden toy that doesn't meet the certification deadline of 2/10/09 as a "banned hazardous substance" which would be illegal to distribute in this country. This legislation is also retroactive for any pre-existing inventory as of February 10th, 2009. This means that everything on the shelves in those big (or small) stores will also be "banned, hazardous substances" - contraband. Larger corporations that can afford testing will incur thousands, maybe millions of dollars in fees, and this expense will be handed down to the consumer, probably making the prices for children's products go through the roof. This also means that after that date, even selling your kids old things on eBay or Craigslist will be illegal. Charities will not be able to accept donations without a certificate of compliance either. February 10, 2009 is being dubbed "National Bankruptcy Day" by many people in the apparel and toy industry. If this legislation is not amended, it will affect everyone from port workers to parents looking for legal products. Billions of dollars worth of children's products will have to be destroyed because they can't be legally sold, and this will cause major environmental problems. While I am all for higher safety standards and keeping our kids safe, this law is so overreaching as to put thousands of manufacturers of children's products out of business -hurting our economy and causing even more loan defaults.Though this legislation was well-intentioned, it cannot be allowed to stand as is. Please help us defend the American dream and our entrepreneurial spirit! This law affects every stay at home mom trying to help put food on the table and every grandmother knitting blankets for the local craft fair. It makes the thousands of us who have found a niche in the burgeoning handmade market have to make a tough decision - continue to produce items illegally and possible incur a $100,000 fine, or close up shop and maybe not be able to pay the mortgage this month. It only takes 30 seconds! If you have an extra minute send a hard copy of the letter as well! Thanks for the post Kiki. 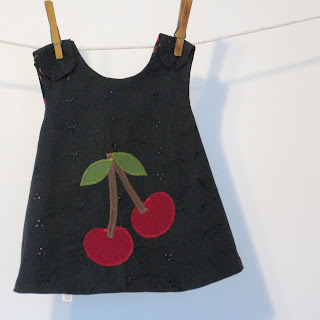 I'm a BH member and also sew childrens clothing. My stomach is in knots over this law. Please help us turn this law around. Thanks so much for this post, Kiki! You've really taken a lot of the legal gobbledygook and toned it so that the rest of us can understand how incredibly important this is! I appreciate your concise and personal post about this issue. I am a super fan of your dresses and quilts and will be so horribly upset if this act is not revised. I wrote my congressmen through your link and I signed the petition. I hope everyone else does the same. More importantly, I hope it makes a difference! Hi - I'm new to the Boston Handmade group, I learned about it from the It's a Purl Man podcast ... you guys are pretty cool! Anyway, my husband is a screenprinter (for a larger shop) in Boston and he became concerned after reading this posting. I think you might actually be ok if you get the lab testing from the companies that produce your individual materials: i.e. the fabric company that makes the bolts you buy, the thread company, etc. He has learned that the companies that produce the inks and the threads (for their embroidery dept) and the T-shirt manufacturers have the lab tests done. All his shop is required to do is contact those companies and get copies of the testing results. This is similar to MSDS (Material Safety and Data Sheets) for nearly every product out there that people use, like paint, caulking, etc. In fact my husband gets MSDS sheets for the inks, spray tack, etc so that he has them on hand should anyone (OSHA) ask. You actually might be in a similar situation - the manufacturers of your products might have already done the testing for you. I hope I'm right so you don't have to stop your brilliant work. I sent the email too and plan to do a blog post on it on my own blog. I really hope this doesnt pass but if it does I hope what Amy B says is right! I read that this Act is not going to affect charities or consignment stores and should not affect small businesses. I read this on Clark Howard.com. I am still trying to find out about the later because I too make things for children. I just thought you would like to know that. I know that the media and actual act state 2 different things. The media is stating that since individual parts or materials have been tested, small business will be fine.